Your donation is needed for Hurricane Harvey disaster relief. Thanks to the commitment of supporters like you the Food Bank is on the front line of disaster response, providing immediate relief to children, families and older adults who lose access to food and water. Relief is needed to recover and rebuild. With the catastrophic floods, the danger to life and property is real for many Texans. 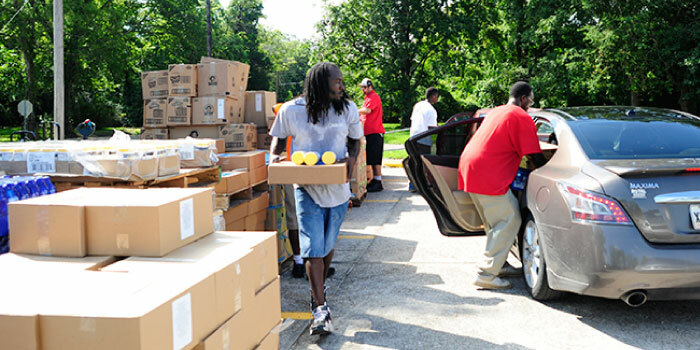 Disaster relief boxes are just one way your donation can make a difference. We are coordinating with state and other disaster relief providers to quickly assess and address the need in our communities. Every donation matters and every dollar counts. With your help, we are ready to help Texans recover from the effects of any natural disaster, and provide important relief and needed food for the long road ahead. Your gift says we are ready to undertake the sustained, committed work necessary to feed our Texas neighbors in need and feed people struggling with hunger whenever they face it! If you need immediate assistance please call 2-1-1 or visit the Food Bank’s Twitter or Facebook page for the most up-to-date information. 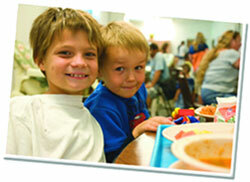 Provides 40 meals for your neighbors in need.